In business for 58 years, D’Asign Source is a full service, design-forward firm—architecture, construction, interior design, landscape architecture, and retail furniture showroom—with a reputation for excellence in the Florida Keys. Our projects range from one-of-a-kind custom homes and kitchen remodels to dream outdoor entertainment spaces and home theater installations. Primarily focused in the Florida Keys, work now takes us out of the area as the reputation for D’Asign Source and our specialty building style has become the perfect complement to any coastal location. The next time you are in the Keys, stop by our showroom, located at 11500 Overseas Highway (MM 53); catch up on the latest and greatest in the design world, chat with one of our professionals about making your dream home a reality or get caught up on local events and hot fishing spots! 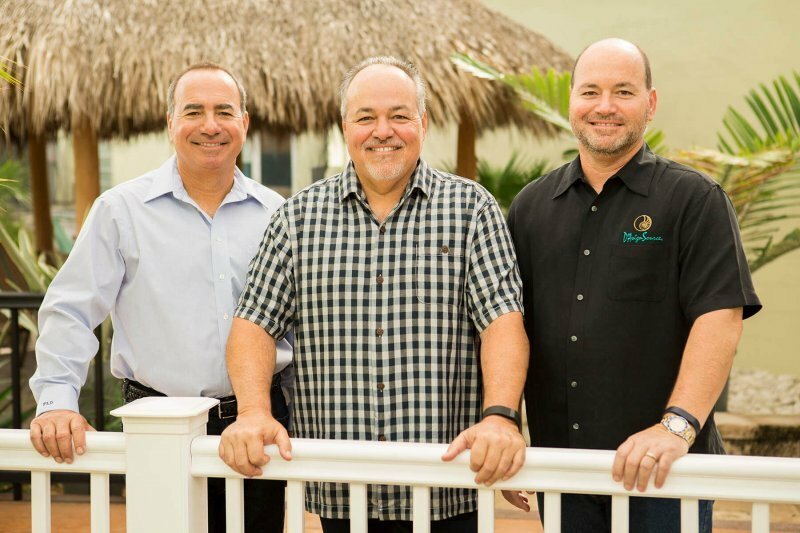 A locally owned and operated family business for 58 years, D’Asign Source is helmed by brothers Tony, Franco and Amedeo D’Ascanio. 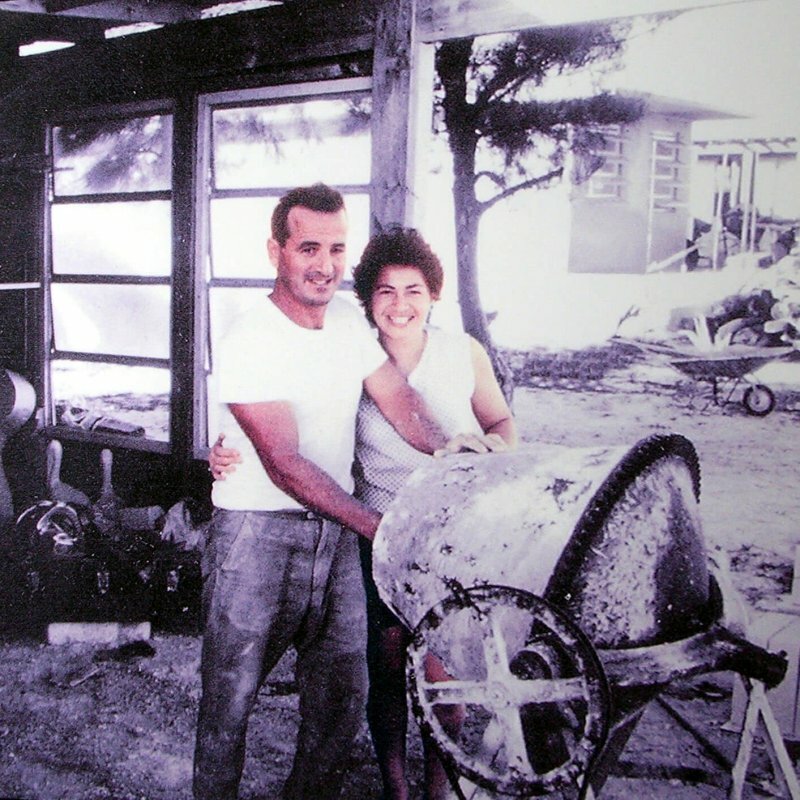 The business was started by their parents, Palmerino (Rino) and Margret D’Ascanio, in 1958 as Ornamental Cement Products on Grassy Key (currently the site of Rainbow Bend Resort and The Hideaway Restaurant). In 1968, the company outgrew their facility and moved to Marathon (current location of the D’Asign Plaza). The business continued to expand and become Ornamental Cement and Ceramic Tile in 1977. The company shifted from tile to construction in 1980. Tony branched out to form D’Ascanio Development, Franco started Sound Source, the custom audio/video division and Amedeo expanded Ornamental Tile’s services to include cabinetry, lighting, wall & window coverings and other finishes—thus becoming the Ornamental Design Collection. In 1990, D’Ascanio Development, Sound Source and Ornamental Design Collection merged to create D’Asign Source. The brothers purchased Scotty’s lumber company, next door to their childhood home in 1999. Thus fulfilling their dads dream of owning the rest of the 100′ lot he couldn’t afford in 1968. The purchase also included another 200′ so they could expand and build the current 25,000 square foot D’Asign Source showroom. Meet the D'Asign Source team! From Key Largo to Key West, our design experts can help make your dreams a reality.